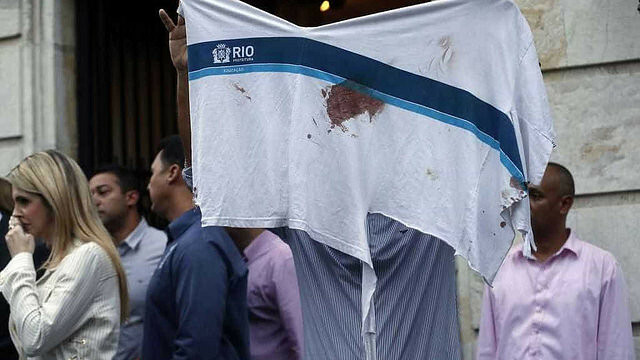 A security operation in the Maré slum complex in Rio de Janeiro last Wednesday ended with deaths of seven people, including 14-year-old student Marcos Vinícius, and sparked outrage against the federal military intervention in force since February 16th in the state. Slum residents, relatives, friends, and teachers of the teenager staged protests and criticized the state’s security policies. The police are investigating the case, and a court ordered they present a report on last week’s operation by July 1st. The intervention in Rio de Janeiro has been in force since February 16th, when Brazil’s security forces took control of the state’s security operations, overseen by army general Walter Braga Netto, who reports directly to Michel Temer, the most unpopular president in the country’s history.